The library, which was founded 1971 as a part of the IWU, supports the interdisciplinary re­search work at the institute. It consists of literature of various thematic fields, such as archi­tecture, urban planning, ecology, environmental conservation, real estate economics, housing politics, sociology, environmental psychology, economics related history, traffic planning, law, building physics, energy economics and politics. The library is a reference library which is also open to the public. Up to 45,000 books and about 150 subscribed journals can be found in the library. Visitors can work in a reading area, use the library information system for research and print their results. The library’s holdings published 1990 to present can be completely searched by the computer based catalogue (WebOPAC), just like most of the literature published between 1982 and 1989. Literature from 1971 to 1983 can only partially be found by computer. All other literature is only listed in the paper catalogue in the library itself. 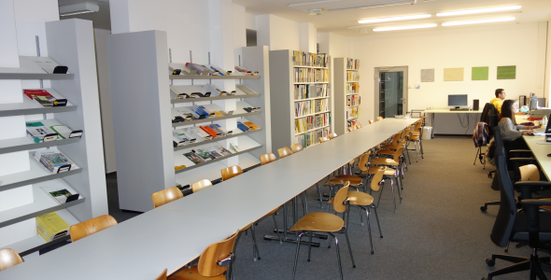 In addition, the holdings are recorded in the joint catalogue of all libraries in Darmstadt (Darmstädter Katalogportal DAKAPO) as well. It is possible to borrow a limited number of items over the weekend.